A rigorous academic program prepares our high school students for university and beyond. Our spectacular campus located just 1.5 hours northeast of Toronto, allows students to enjoy a variety of sports, an enriching co-curricular program and allows our faculty to offer experiential learning opportunities across the curriculum. 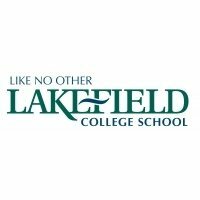 Lakefield College School has a proud 139-year history of educating some of Canada’s finest young men and women. Our graduates go on to successful careers in all aspects of business, politics, social services, academia and the arts. We are particularly proud to have been the alma mater for His Royal Highness The Duke of York, His Majesty King Felipe VI of Spain and four Rhodes Scholars. As a member of the School Life Team, Associate Faculty are responsible, in conjunction with the Head of House, for the daily supervision of the residence. The Associate Faculty is on residential duty during rotating days of the week, and alternate weekends. Periodic supervision of the dining hall during meals in conjunction with the teacher on duty and library supervision. Supervision schedule is arranged in advance. Associate Faculty who are on duty each weekend will work with the School Life Class to organize and chaperone weekend spirit activities. The Associate Faculty as a group may be responsible for class coverage when a Teacher is absent. All of our students participate in a Co-Curricular Program that includes a wide variety of Artistic, Athletic and Service Learning options. Coaching a competitive or recreational sport and/or leading an artistic program club will be a part of your weekly commitments. This may include accompanying a team or club to tournaments, events or games off campus during evenings or weekends. Additional units of responsibility may be offered depending upon individual qualifications and aptitudes in relation to the School’s needs. These will be arranged by the Assistant Head: School Life in consultation with the Directors of Residences, Arts and Athletics and other Assistant Heads as required. An enthusiastic, lead-by-example attitude is required. Candidates must be effective in providing support and direction to children and youth with maturity, and empathy. Able to think strategically and be a problem solver. Eagerly embrace the School’s Mission and Values. Qualifications or experience in a residential camp setting, and experience or participation or coaching in a competitive sport or artistic pursuit would be considered an asset. Second language proficiency, ability to support learning in Mathematics, or English, capacity for leading artistic co-curriculars, and genuine interest for supporting students who may have identified learning differences are considered assets. Current certification for First Aid, CPR and AED. Successful candidates will enjoy being part of an on campus, active learning community with an opportunity to experience mentorship and career development. The Associate Faculty is a paid position including health and dental benefits, professional development funding, as well as OTPP contributions for OCT qualified teachers. Access to our beautiful, 300-acre lakefront campus and all it has to offer as well as meals in our dining hall are included in this amazing academic year experience. Please complete your profile and submit your resume information through the Careers Section of our website on or before May 14, 2018.